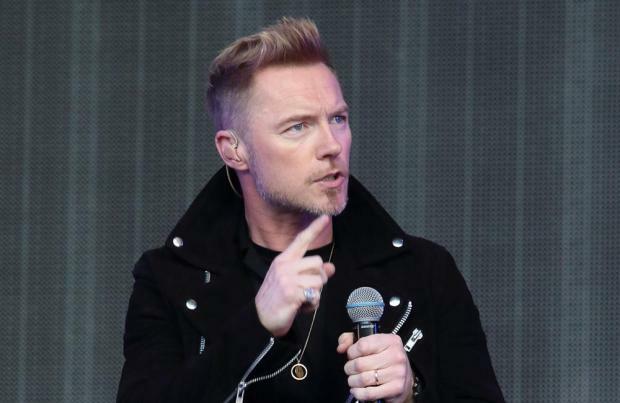 Ronan Keating says it's a shame Victoria Beckham won't reunite with the Spice Girls. The 'Wannabe' girl group will announce their first tour in 10 years on Monday afternoon (05.11.18), and the Boyzone star has opened up about their reunion plans. Speaking on Magic Breakfast, he said: "It will be great to see the girls back together. I have to say, it's a shame Victoria isn't coming back. "It's like [Brian McFadden] not coming back to Westlife, it's like [Robbie Williams] not coming back to Take That. It'd be nice. But I get why everyone would want to do their own thing. "Victoria's a huge name now on her own, she doesn't need it. So that's why she's not doing it. "We need Victoria to be in the Spice Girls, because when you go to see them, you want to see them all – that's the thing." His comments come after Emma Bunton confirmed she and her remaining bandmates – Mel C, Mel B and Geri Horner – will be putting details of their comeback on social media. She told her Heart Radio breakfast show co-host Jamie Theakston: "It's so exciting. Everything will be announced just after three o clock today on social media. "You can go to @spicegirls but don't look at me anymore because I might just blurt it all out. "After 3 o'clock today you will find out everything. I just want it out there. It will be brilliant." It has been claimed the quartet – who won't be joined in the reunion by fifth Spice Girl Victoria Beckham – will make their announcement in a social media video post that pokes fun at their group personas. The tour is set to take place next summer and fans will be able to buy tickets in just a few days time. 20 years on, the pop Wannabes are still performing together. Well, mostly.